American national security reporter Jeremy Scahill ridiculed Canada’s leadership role in Libya while visiting the HBO show Real Time With Bill Maher last Friday. Scahill, who helped expose criminal activity within the private military contractor Blackwater, appeared astonished that the NATO mission “is going to be handed over to the Canadian Mounties.” The comment clearly implied that Canada, a nation who has sacrificed 155 soldiers in Afghanistan, is a substandard military force not worthy of leading a mission. Perhaps Scahill forgets about the leadership roles Canada has been responsible for in Afghanistan, with no Mounties in sight (Mounties are federal police officers, not military servicemen), and with the praises of American military officials. Scahill has been defending his comments on Twitter after being asked by this reporter to retract his statement. He claimed the joke “was about the US trying to use Canada to make the op legitimate.” If that was really the case, then why imply that Canadian military personnel aren’t up for the job? It’s possible, or likely, that Scahill isn’t a very good joke teller, but hindsight should give him enough pause to realize his comments made light of Canadian soldiers and their abilities. 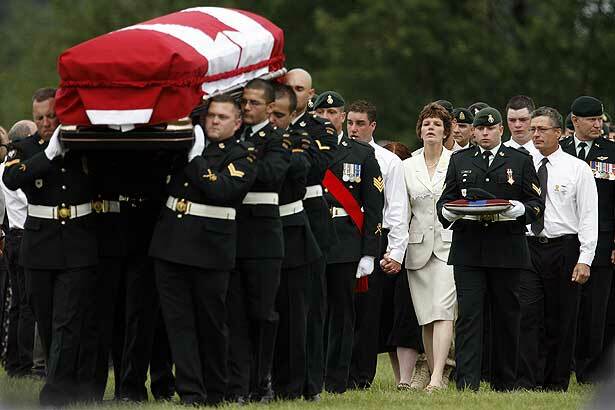 Whether you support the NATO mission or not, Scahill shows a lack of respect and an unapologetic stubbornness towards Canadian men and women who give their lives in battle.